Tuvalu is a unique home furnishing store which offers beach styles to decorate your home. If you’re looking for stylish indoor furniture, outdoor furniture, bed and bath, or coastal décor- start your search at Tuvalu! Every inch of this store is packed with decoration ideas, table dressings, antiques, clocks, globes, and even books! For those who are drawn to ocean theme design you will love this store! !Tuvalu’s collection has been imported from all over including places like: Hawaii, Florida, and even Israel. You’ll usually find the best deals on smaller items. 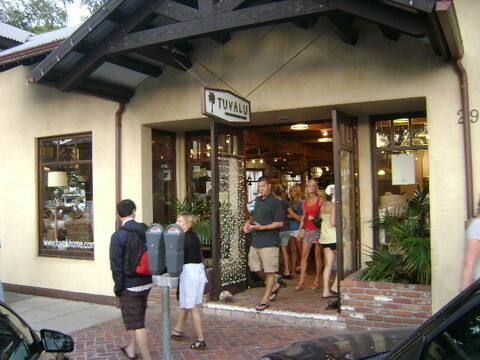 For the larger items like furniture, expect to pay Laguna Beach retail.